GolfStatLab is widely regarded by leading golf coaches and touring professionals as being the world's most powerful golf stats analysis system. It can be globally accessed through any computer which is connected to the internet with no additional software being required. Born out of the necessity to provide players with objective performance feedback to tailor training programs for the fastest and best effect, Cameron McCormick unfulfilled with existing performance analysis solutions embarked on creating his own… after 3 years of development came GolfStatLab. After the launch, Cameron continued to direct the development and direction of GolfStatLab to make an even more powerful tool that works in the real world of performance golf instruction. In 2014 a completely new version of GolfStatLab went live with new features and more powerful reporting and analysis tools. GolfStatLab provides our clients with a unique and comprehensive analysis of their games, helping young golfers to develop, and assisting talented golfers to improve to new levels previously unimagined. By focusing on precise areas of strength and weakness, we give individual golfers a greater understanding of their game and help them maximize their time and therefore their potential. The aim of GolfStatLab is to enable male and female golfers of all standards to use the world's most advanced system for recording, analysis and comparison of their golf performance. We enable users to identify their current and long term strengths and weaknesses plus, compare their key performance indicators against either themselves (using multiple filters), or other performance segments as a means for goal setting and training development. His student list covers the gamut from beginners and weekend amateurs to AJGA junior champions and USGA national champions to an ever-growing list of professional athletes with victories on multiple professional tours. An accomplished player himself, McCormick moved to the United States from Melbourne, Australia to accept a golf scholarship to Butler County Junior College in Wichita, KS before being awarded a scholarship to play for Texas Tech. He later played professionally in Australia and the United States. 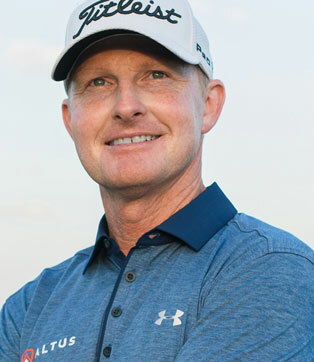 His knowledge of what it takes to compete effectively – combined with his ability to communicate in a variety of manners – has attracted many of North Texas best juniors, amateurs and professional players to work with him on their games. McCormick is well known for his ability to quickly assess a student’s critical skills. Gaining an understanding of a player’s strengths and weaknesses hthe mutually agreed upon performance goals. McCormick is a student of all subjects critical to performance including biomechanics, kinesiology, sports psychology and motor learning. He has developed a knowledge-base well beyond his years. He has surrounded himself with the world’s finest teachers whether under the tutelage of the former Victorian Institute of Sport coach Steve Bann, or when during his early years in the business he traveled across America to observe and study under Butch Harmon, Chuck Cook, Rick Martino, Mark Wood, Craig Shankland, Hank Johnson, Cameron Doan and Marius Filmalter. McCormick bases his coaching philosophy on creating a plan that aligns with the student’s goals and commitment level. When everything comes together the student is able to practice and play in a “flow state” where the student becomes fully immersed in what he or she is doing with a feeling of energized focus, full involvement and increased success. To help his students reach this level in their golf experience, McCormick sets clear goals, provides direct and immediate feedback and creates the proper balance between the golfers ability level and the training challenges he creates for each individual. McCormick is a PGA Class A professional and has had his instruction articles published in Golf Digest, DFW Links Magazine, Golf Illustrated, PGA Magazine and FORE Texas Magazine.